BMS teachers are available to work with students in a more individualized manner, either by appointment or by teacher's request. All students have the opportunity to take a study hall either every day or on alternating days. Each grade has a dedicated period for study halls so that students have access to all of their teachers during this period. As the year progresses, teachers regroup students based on students’ needs to maximize the impact of this time. BMS uses all the data available to place students with instructors and supports most likely maximize student growth. Students are reassessed each year and can move between groups. BMS has had great success in closing the achievement gap between the least prepared and most prepared students by increasing support rather than lowering expectations. BMS students have access to a clinic that is staffed by full-time registered nurses who work with students for everything from stomach aches, to gym class injuries, to daily medications and diabetes monitoring. Bexley's nurses provide the students with a high level of care that ensures they are ready to learn while in class. The school district is also served on-site by a full-time mental health professional from Nationwide Children's Hospital. Mrs. Samantha McMasters, Director of Student Services, oversees nurses for the district. BMS highly values the depth of learning that can only occur with a global mindset. Faculty strives to help students move from simply knowing to doing. Service projects, such as South Sudan relief efforts and the 8th grade Community Project, give students a way to contribute to others in their community and around the world. BMS has a goal that each student, regardless of income, race, sexual orientation, gender, or family composition, feels welcome, safe, and included while at school. The school uses a combination of culturally aware practices, celebrations of diversity, and community experiences to give students an awareness and appreciation for others and themselves. Safe, Respectful, Responsible... These three words represent the behavioral expectations Bexley has for students in the district. PBIS is the establishment of consistent, communicated expectations for students in a variety of scenarios. Staff discuss PBIS expectations with students in advance for classrooms, cafeteria, hallways, assemblies, etc. so that all students have a chance to be succeesful. The school steps in when students are not experiencing the success they could be. A team of teachers considers the student from a “big picture” perspective, identifies what is working, and develops a plan to replicate that success. If a student needs additional supports, either academic or non-academic, the team works to ensure those supports are put into place. Typically, BMS tries tailored interventions for the student for 4-6 weeks, then evaluates for success, and makes adjustments as necessary. Bexley Schools recognizes that a student’s needs extend beyond the curriculum. School counselors, Sarah Busold and Tara Louys, provide classroom guidance, small group opportunities and individual counseling to students. The school's home-grown advisory program "(I’m)agine Bexley" encourages students to explore different ways that they can grow and contribute to a community. 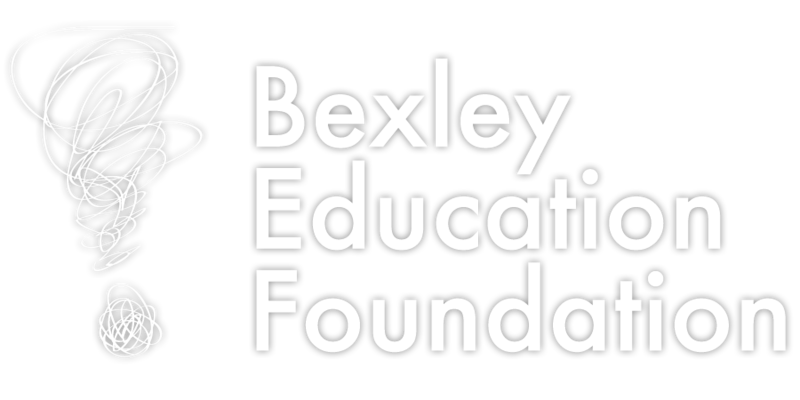 Bexley is unique in that it has a Director of Student and Community Engagement, Ms. Leisan Smith, who is dedicated to addressing students’ social and emotional health. Ms. Smith works with students, facility, families, and the community at large to identify and overcome barriers to student success. BMS offers this course to students who need additional support to be successful in English and math classes. Students receive an additional 240 minutes each week in areas such as reading fluency, reading comprehension, word decoding, content area vocabulary, math fluency, and knowledge gaps in mathematics. This takes the place of a world language in their schedule and is in addition to their English and Math course. Students identified as gifted have unique learning needs that staff need to be aware of and support. These students may be eligible for a Written Education Plan (WEP). Some of the ways BMS serves gifted students: Grouped English and math classes, acceleration policies, and a variety of course offerings geared towards creative talents. Services and programming is overseen by Ms. Crystal Carley, BMS Gifted Intervention Specialist, and Mrs. Colette Smith, District Gifted Coordinator. A student with an underlying medical condition that has a substantial impact on his or her learning is eligible for an individualized plan under Section 504 of the Rehabilitation Act of 1973. This ensures that the student receives the necessary classroom and testing accommodations for full access to the same learning opportunities as other students. Mrs. Sarah Busold and Mrs. Tara Louys, BMS Counselors, are the 504 coordinators for BMS students. Mrs. Samantha McMasters, Director of Student Services, oversees 504 services for the district. Students with disabilities that have a substantial impact on their learning are eligible for an Individualized Education Plan (IEP) under the Individuals with Disabilities Education Act. These individualized plans lay out specific goals for students and what accommodations or modifications a student needs to have full access to the same learning opportunities as other students. Special Education services are overseen at the building level by a team of Intervention Specialists, Speech Therapists, School Psychologists, Mental Health Professionals and the principal, Mr. Jason Caudill.